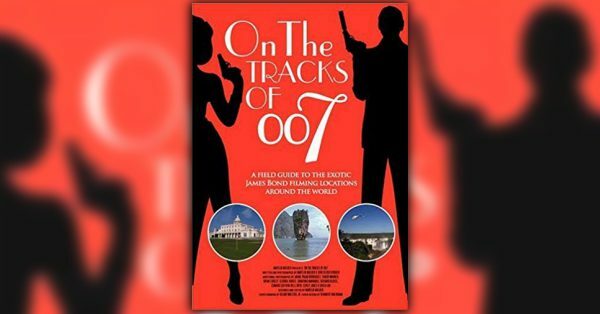 If you’ve like to visit locations from the James Bond films then this book will make your future travels much easier. Written by Martijn Mulder and the late Dirk Kloosterboer, it contains details of what you can see in locations used in the films from Dr No to Quantum of Solace. The book is organised by location rather than by film, which makes finding the information you’re after pretty straightforward. Locations can be wide ranging, such as England, Jamaica, The Bahamas or Japan, or much more tightly focused. London has its own chapter, as do Pinewood, RAF Northolt, New Orleans and New York among others. Each chapter includes local intel, photos, instructions of how to get there, tips and anecdotes. It doesn’t include locations from the books though, but for that you can check out my 2004/2005 series James Bond’s World on MI6. One slight quibble. It’s a pretty large book, A4 in size and perhaps 12 mm thick, yet subtitled A Field Guide to the Exotic James Bond Filming Locations Around the World. It’s simply way too big to use in the field. That doesn’t detract from its usefulness in planning your trip. Just make sure you leave it back in your hotel.